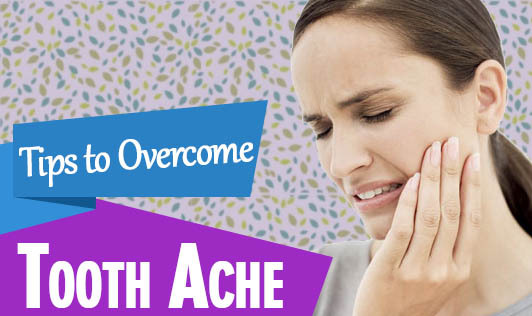 Tooth ache indicates that you have a dental problem on your hands which could worsen over time, if neglected. Your dentist can detect the root cause and provide a remedy for it. 1. Chew on a clove or apply a drop of clove oil on the affected part. 2. A paste made from honey and a little alum powder is an excellent remedy for tooth aches. 3. Asafetida, tiny slice of ginger, and a pinch of salt can be kept in the crevices of the tooth. 4. Ground tulsi (holy basil) leaves with a pinch of pepper powder can be placed on the affected area. 5. Crush a couple of cloves and add to a mild solution of potassium permanganate. Use this solution to gargle.